Corra, a leading ecommerce agency with offices in New York and Los Angeles, announced today that its work for Ten Thousand Villages’ ecommerce website won the “Best in Class” Interactive Media Award (IMA) for 2012. Ten Thousand Villages, the country’s oldest and largest fair trade retailer, was one of only three companies out of nearly 200 entrants to receive the “Best in Class” honor. The retailer’s online store, www.tenthousandvillages.com, was evaluated in five key categories: design, content, feature functionality, usability and standards compliance/cross-browser compatibility. Alongside prominent entrants such as Disney and Kraft, the Ten Thousand Villages website was judged on a scale of 0-100 in each of the five key categories. Out of a total possible score of 500 points, TTV scored 481 points. The Interactive Media Awards annually recognize the highest standard of excellence in website design and development. The judges for each award are experienced professionals and leaders in web design, advertising, public relations, publishing, news and other industries. This is the second time the Corra has been recognized with an IMA in ecommerce. In 2010, Corra’s client, Golden Edibles, earned “Outstanding Achievement” in the same category. 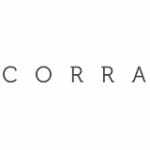 Corra is a full-service ecommerce agency and systems integrator based in New York and Los Angeles. We specialize in web design, ecommerce strategy, web development and support for Magento Enterprise and hybris ecommerce projects. Ten Thousand Villages is an exceptional source for unique handmade gifts, jewelry, home decor, art & sculpture and personal accessories made by artisans in Asia, Africa, Latin America and the Middle East. One of the world’s largest fair trade organizations and a founding member of the World Fair Trade Organization and the Fair Trade Federation, Ten Thousand Villages strives to improve the livelihood of tens of thousands of disadvantaged artisans in 38 countries. Product sales help pay for food, education, healthcare and housing for artisans who would otherwise be unemployed or underemployed. For more information, visit tenthousandvillages.com.